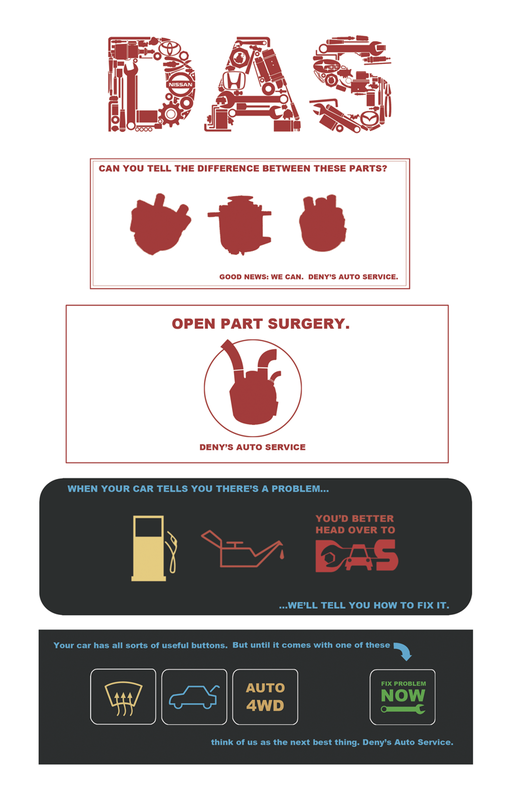 Several weeks ago, I was asked by my mechanic (who also happens to be a friend) to think up a few newspaper ad concepts. 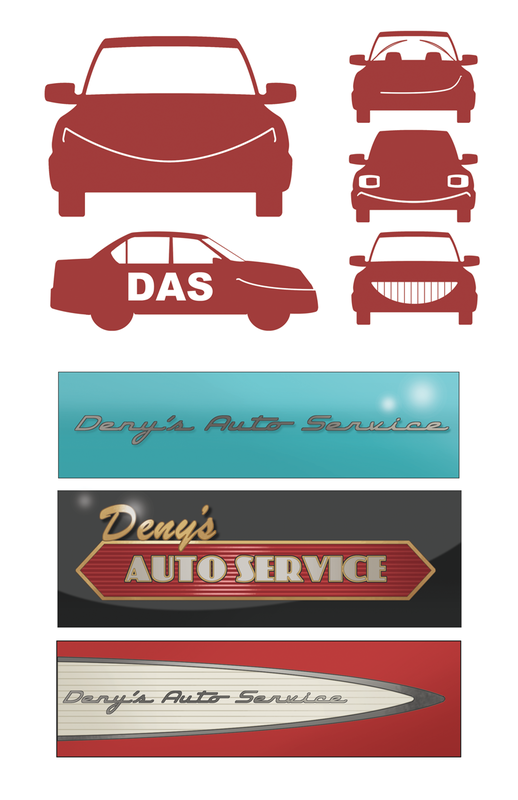 The business is called "Deny's Auto Service". 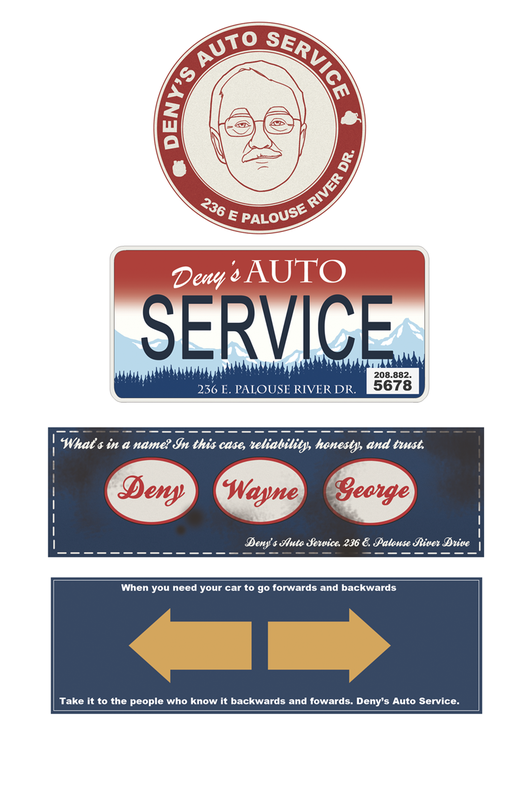 Having never done any design or illustration work for a mechanic or other car-related business (save for a job for Toyota years ago), I was pretty excited to work on these. I figured there would be a wealth of material to draw from and I wasn't disappointed. My favorites are the last three, which were meant to look like the side elements on classic cars.